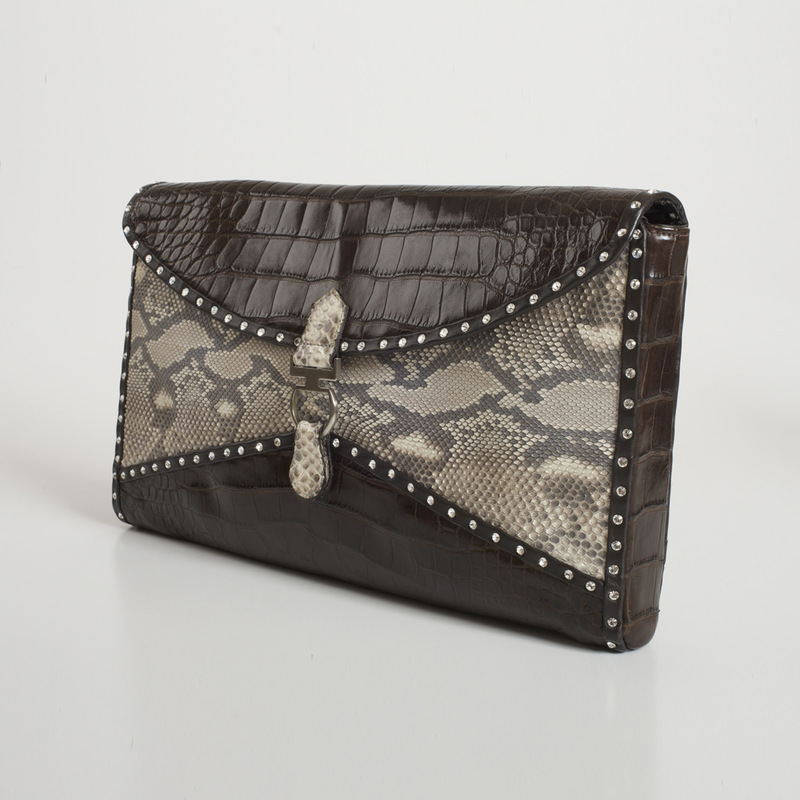 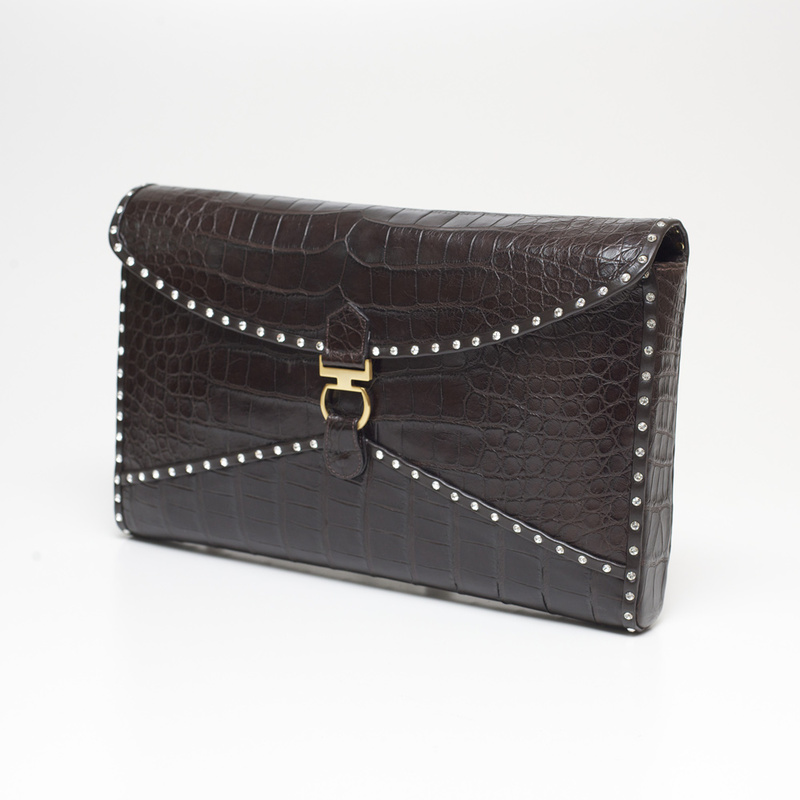 Carry this top extraordinarily extra-large KOROKUM K43 BELLATRIX clutch in black stingray and natural python. 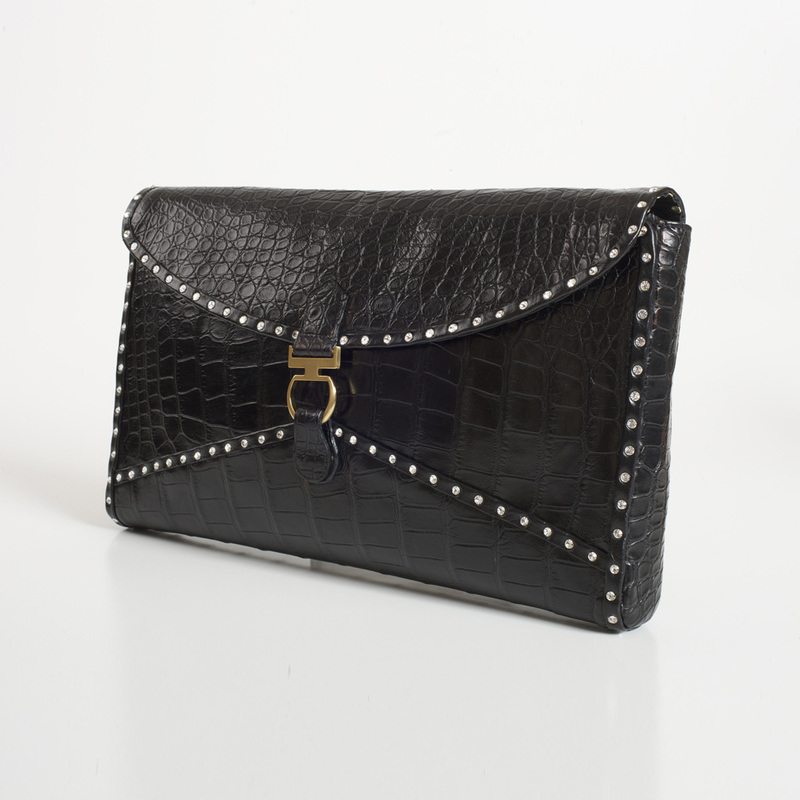 Take your laptop with you in this exquisite clutch studded with SWAROVSKI® ELEMENTS crystals to distinguish your outfit from others. 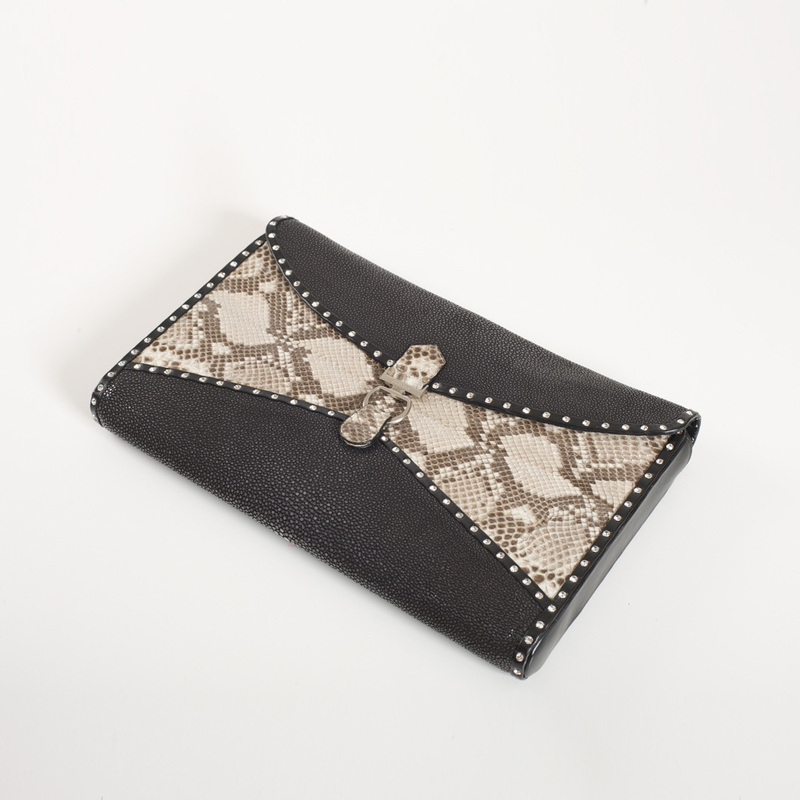 A most-have luxe accessory for every fashionista.